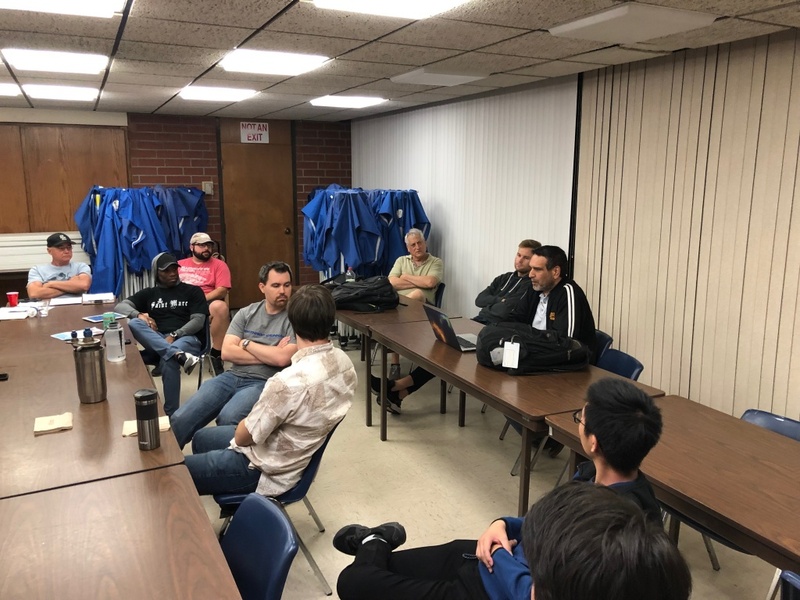 The RRS held our monthly meeting on April 12, 2019 at the Ken Nakaoka Community Center in Gardena. We had a full agenda with the 2019 RRS symposium just around the corner on Saturday, April 27th. We first welcomed two new members, Keith Yoerg and Jonathan Martinez. 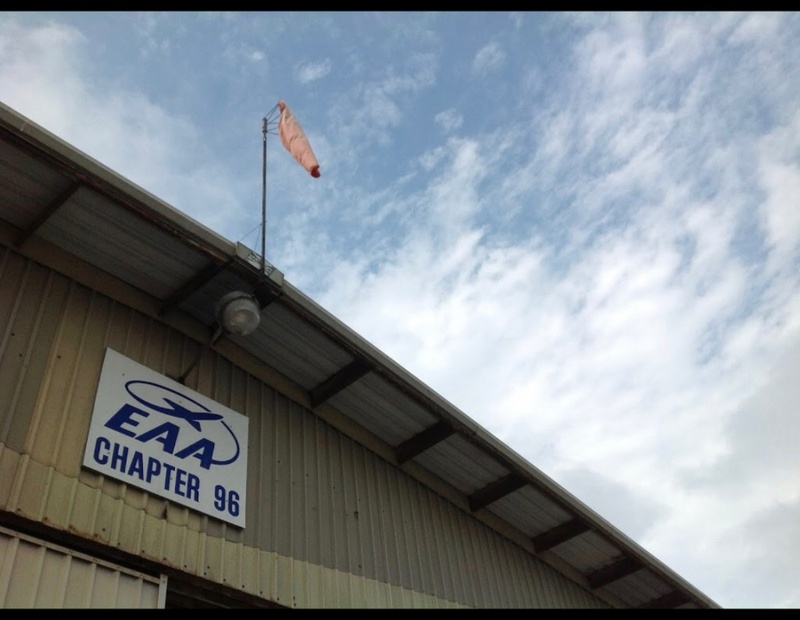 Keith is active with Tomorrow’s Aeronautical Museum (TAM) at the Compton Airport and has given many educational programs to local schools. 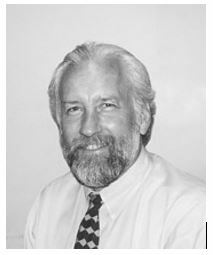 He’s also a graduate of USC and a former member of their Rocket Propulsion Laboratory (RPL). Jonathan Martinez joins the RRS as a student member from Compton High School. 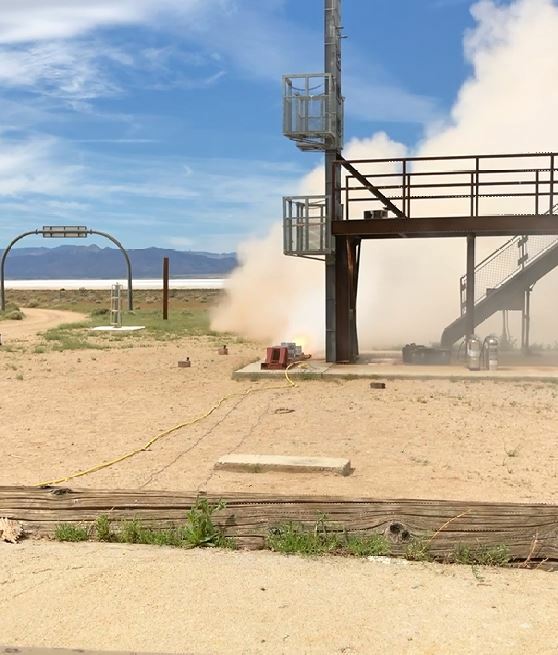 He’s been working at TAM and the RRS hopes to help him in his new project to hot-fire a liquid rocket. Keith Yoerg (left) watches Waldo Stakes (right) show off the gas generator injector he brought to the meeting. 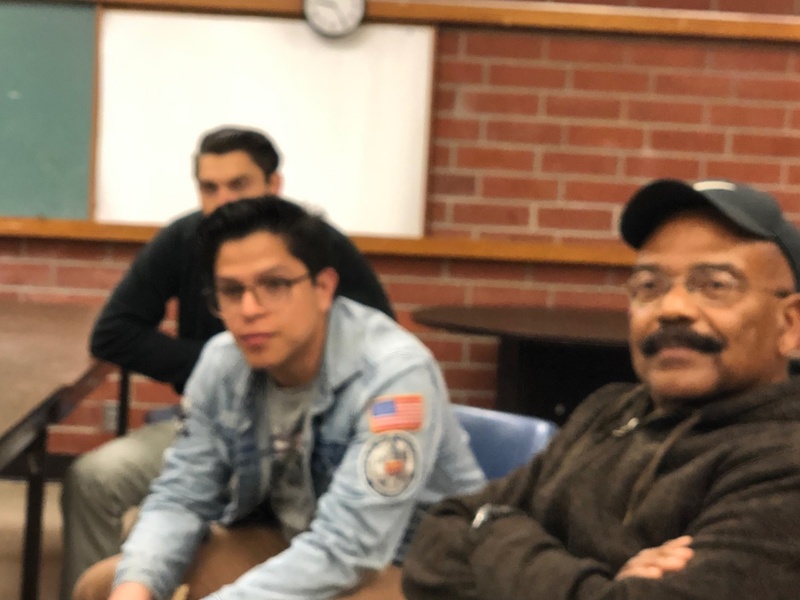 New RRS member, Jonathan Martinez (left) and Wilbur Owens (right) at the April 2019 meeting of the RRS. We next talked about the recent launch event with LAPD CSP and Compton Elementary. 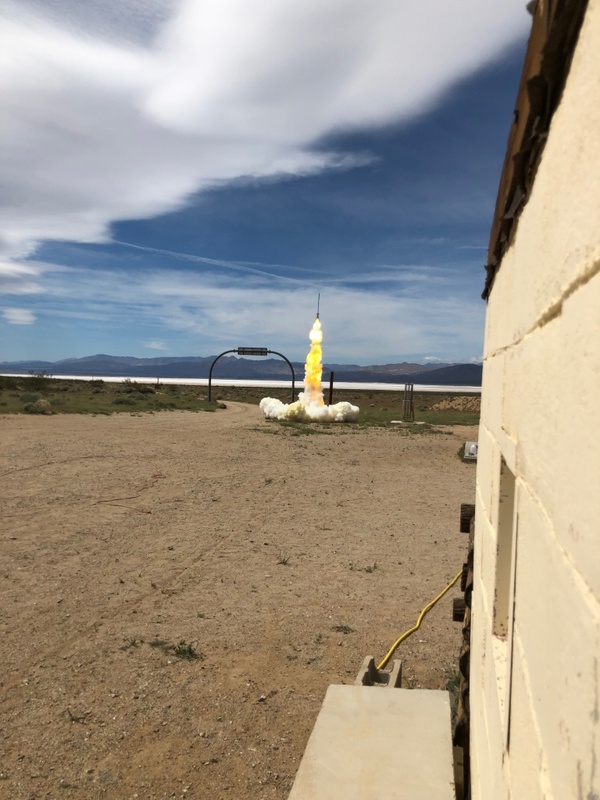 The “Rockets in the Projects” program is going strong and we were glad to welcome Compton Elementary to our workspace and launchpad in the Mojave Desert. Under very pleasant weather, we had a good launch event starting with a tour, safety briefing and the kids finally getting a chance to see their rockets fly into the blue sky. 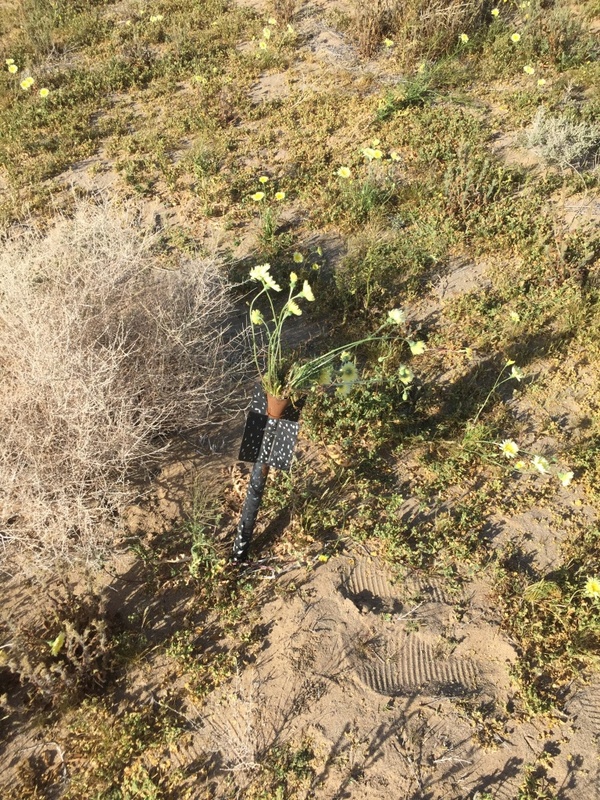 Osvaldo had a seventh alpha rocket with a parachute system, but somehow failed to deploy. 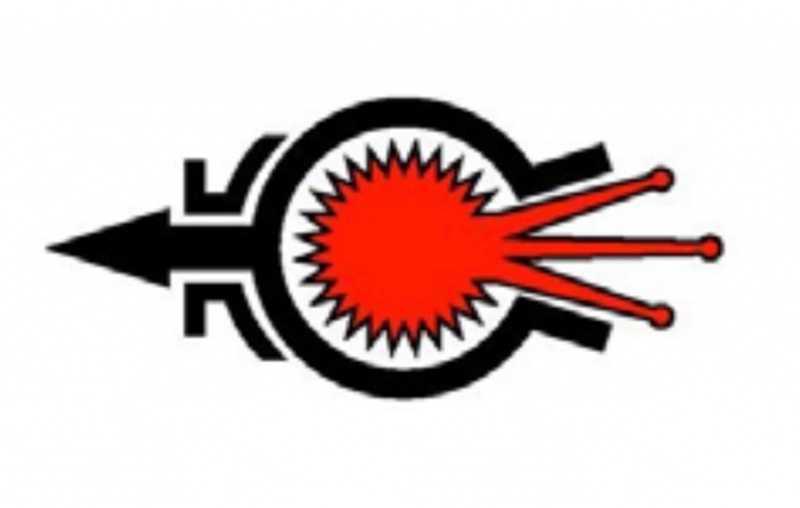 USC static-fired a six-inch custom solid motor. After Compton Elementary and LAPD CSP went home, Osvaldo, Frank, Larry and I did a little reconnaissance for the alphas we flew at the event. We were able to find 3 of the original 6 and one more alpha from the past MTA launch event. The higher level winds have been carrying the alphas in a more northerly direction west of the launch rails. For reference, Osvaldo recorded the following coordinates for one of the alphas found: 35* 21′ 16.83″ North, 117* 48′ 50.03″ West. 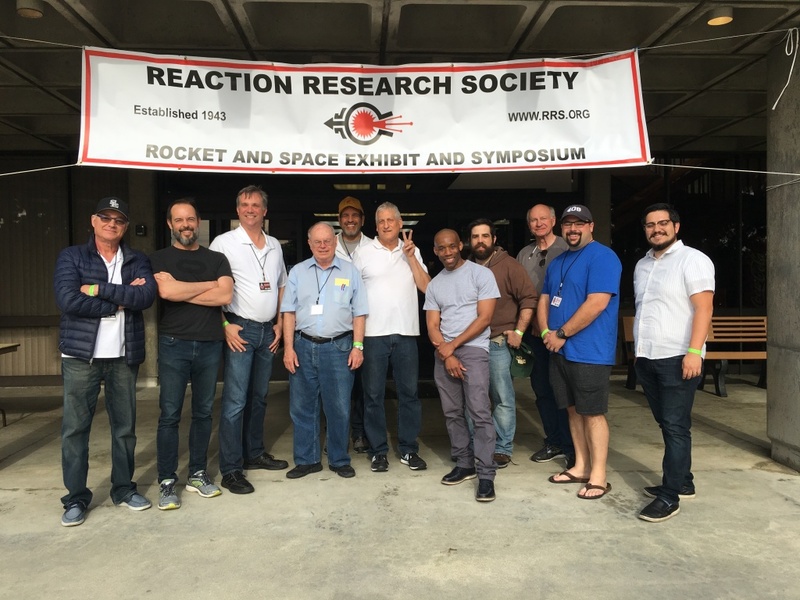 The 2019 RRS symposium was the next topic. We have over 300 Eventbrite tickets sold at the time of the meeting. The symposium has confirmed a full roster of speakers including AFRL Edwards AFB, Northrop-Grumman, USAF SMC. We decided not to hold the panel discussion this year. The symposium will start at 8:45AM on Saturday, April 27th. 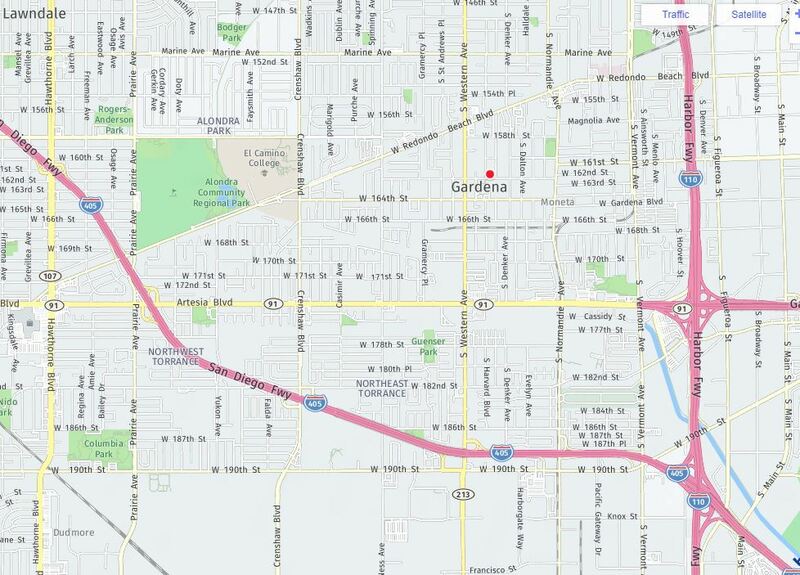 The Ken Nakaoka Community Center in Gardena will allow us to set up the night before (4/26/19) at 7pm until they close at 9pm. There’s a lot of work to be done and we hope all of our membership can come out on Friday and help us with setting up tables and hanging the sign outside. We also hope all of our membership can help at the symposium on Saturday (4/27/2019) as well. The Ken Nakaoka Community Center opens at 8AM, we will have just a little bit of time to get ready before the event begins at 8:45am with our RRS president, Osvaldo Tarditti, giving the introductory presentation. 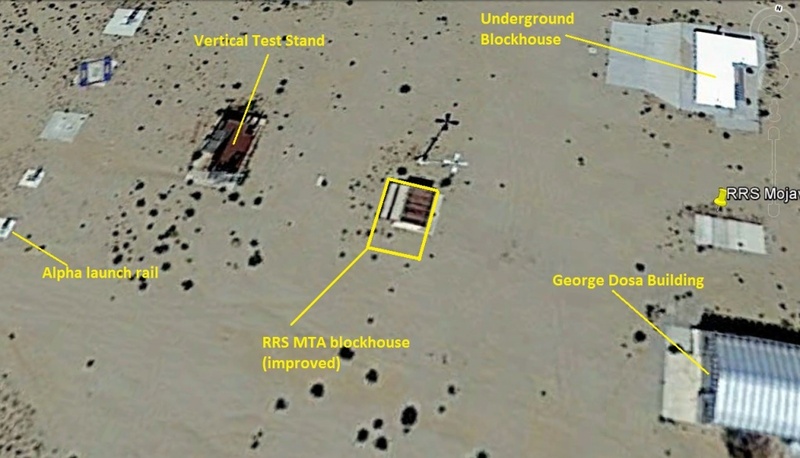 The next topic of discussion at the April 2019 meeting was facility improvements at the RRS MTA. The society has decided to invest in upgrading our blockhouse and building a new restroom facility at the site for better creature comfort for the increasing number of guests we’re having each year. Osvaldo has been working up the plans for these two facility improvements and will get bids very soon. We also hope to solicit donations from the public at the symposium to help the society reach our goals for these facility improvement projects. To anyone wishing to make a monetary donation to the RRS, you can use the “DONATE” button on the RRS.ORG homepage which connects to Paypal. Please leave us a note and accept our thanks. The society is striving to improve our facilities as we prepare to have more events this year. 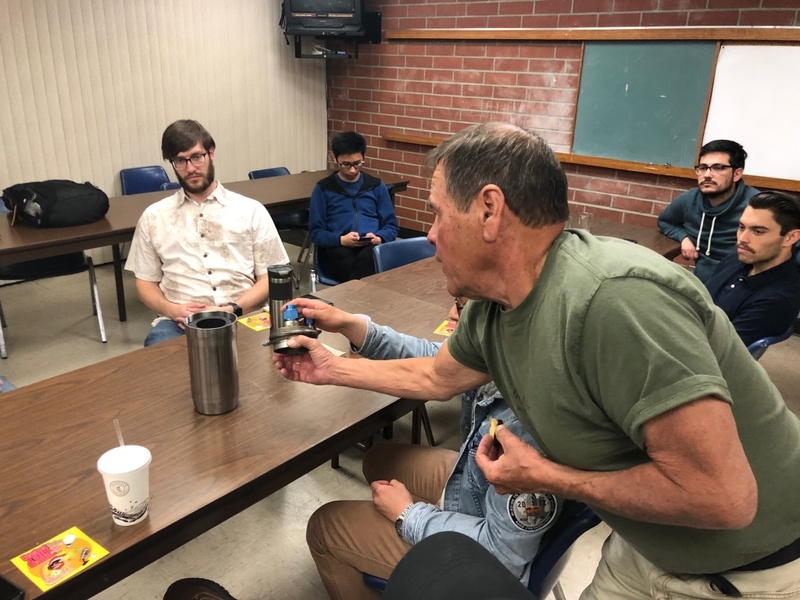 Osvaldo also told us more about the RRS participating with CALFIRE in their review of the state laws governing amateur rocketry. Members of the Friends of Amateur Rocketry (FAR) organization have also been working with CALFIRE on this important committee. 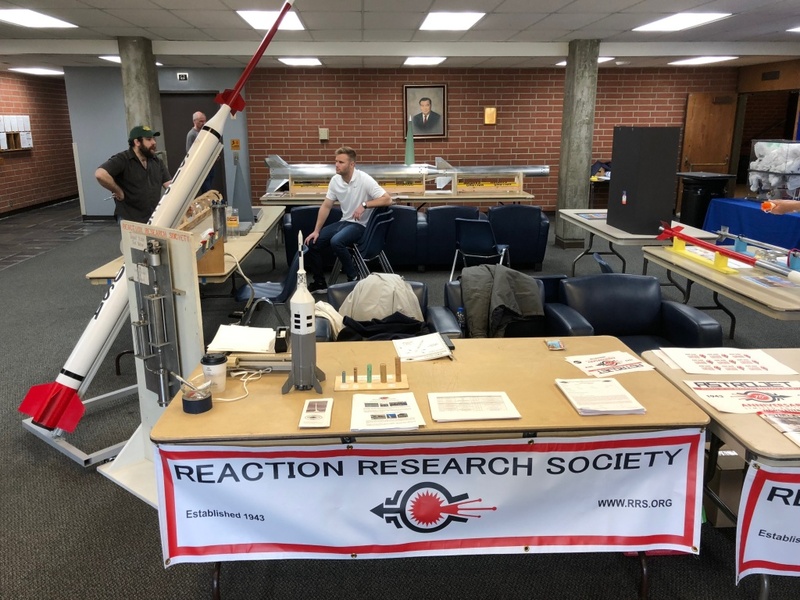 It is the goal of the RRS to inform the public and governing agencies on ways to make the law reasonable, practical and just to the amateur rocketry as we uphold our commitment to public safety. 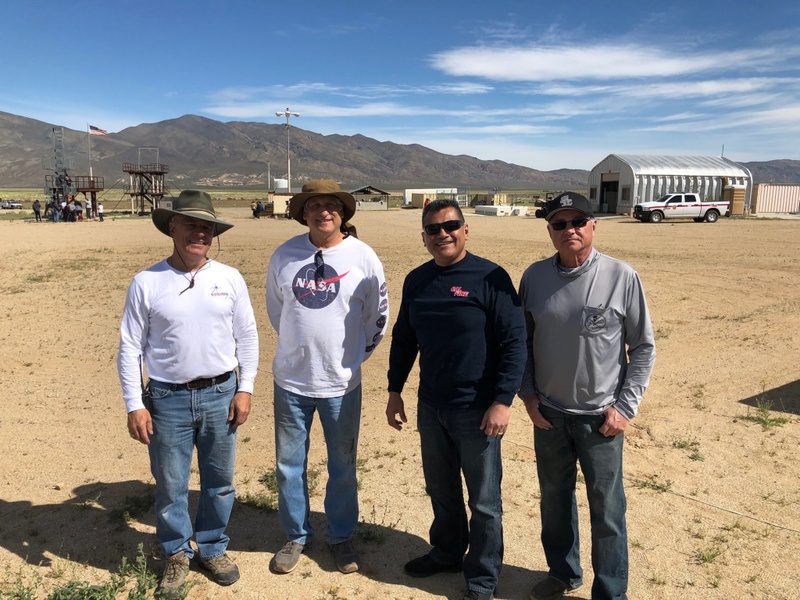 CALFIRE has been very supportive of our hobby and we are building stronger relationships with the State of California and our fellow rocketry organizations. Discussion on our last topic on the agenda was about the RRS’s participation with the base11 project. We were not able to talk about this subject in much detail as closing time had fast approached. As an educational non-profit group, the RRS has a charter to support university groups. 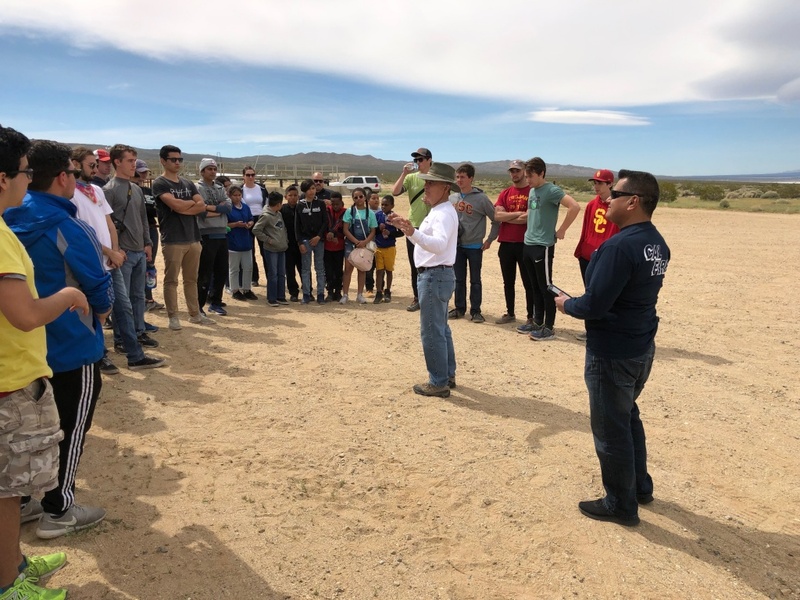 The base11 project is very ambitious in its goal of student-run teams building and flying a liquid rocket to an altitude of 100 km or higher. This multi-year program will be a challenge on many levels both financial and technical. The RRS is happy to support the base11 Space Challenge at the RRS MTA. The remaining agenda topics will be covered in next month’s meeting including the quarterly progress update on the SuperDosa project and the RRS partnership with Tomorrow’s Aeronautical Museum (TAM). 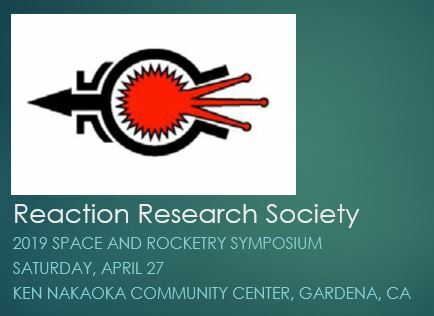 The Reaction Research Society meets the 2nd Friday of each month at the Ken Nakaoka Community Center in Gardena, California, at 7:30pm. The RRS is very exciting about the projects we have planned for this summer. 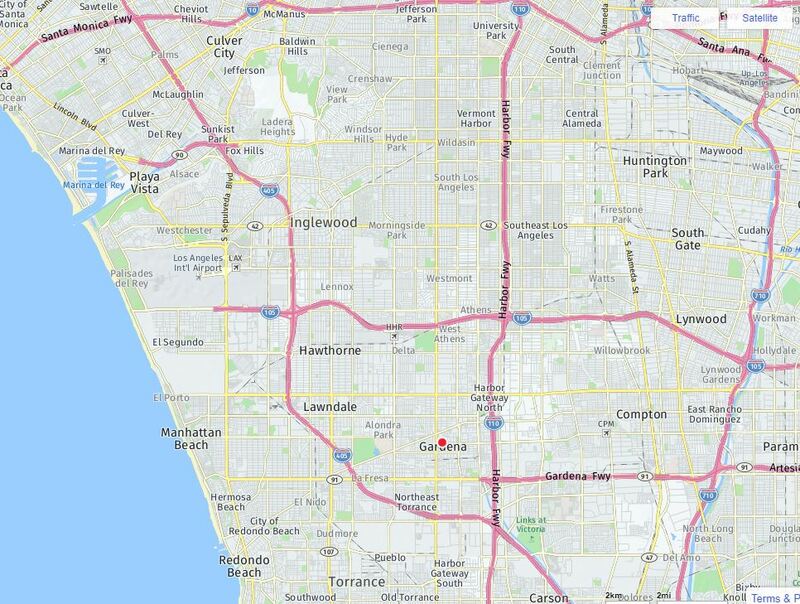 Our next monthly meeting will be Friday, May 10th, 2019 at 7:30pm.